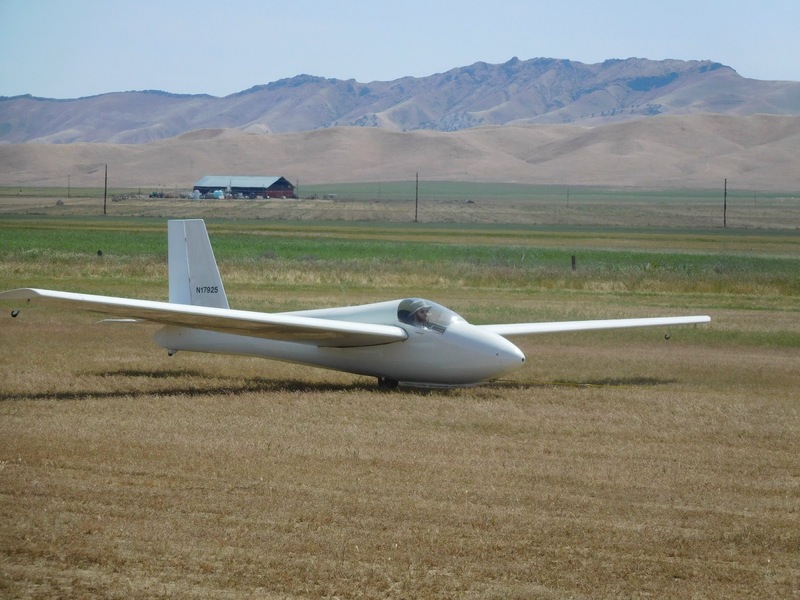 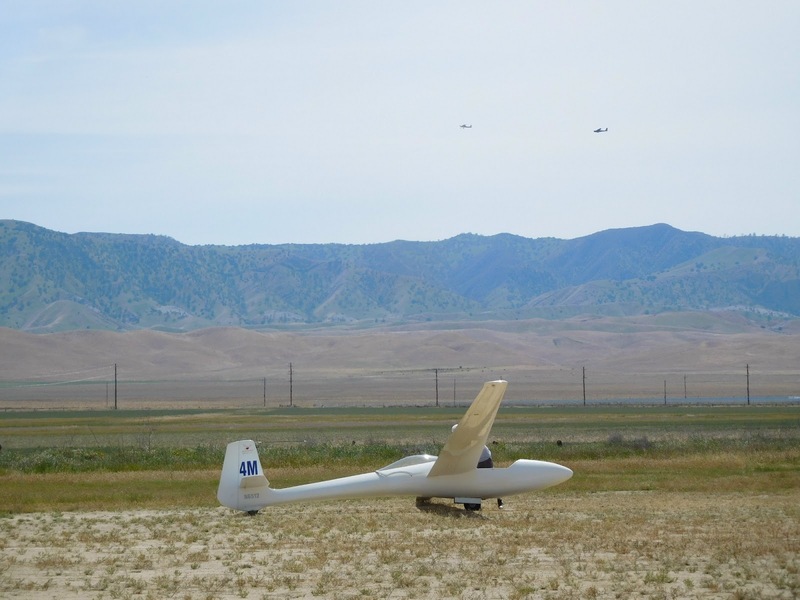 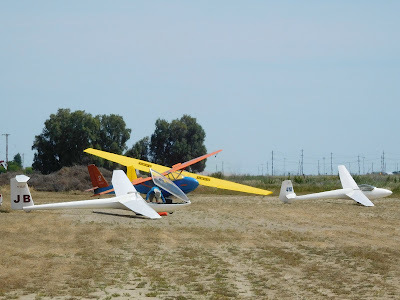 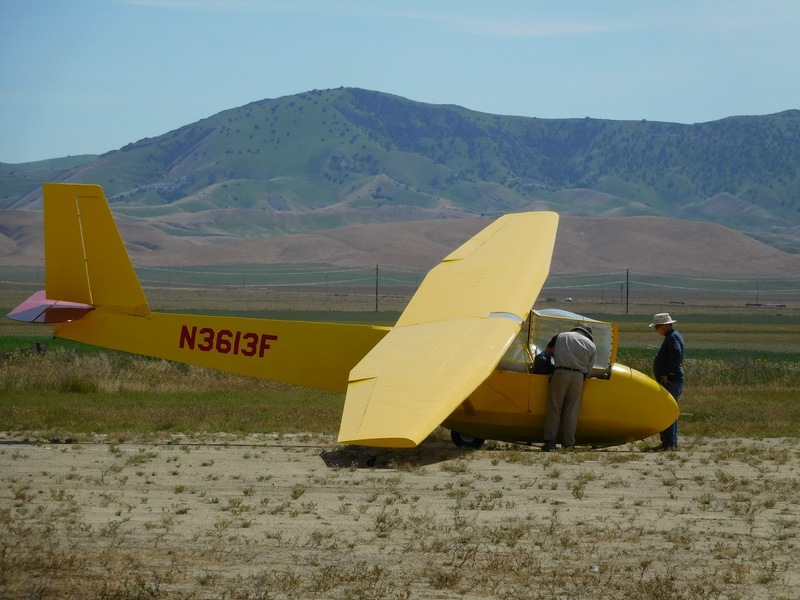 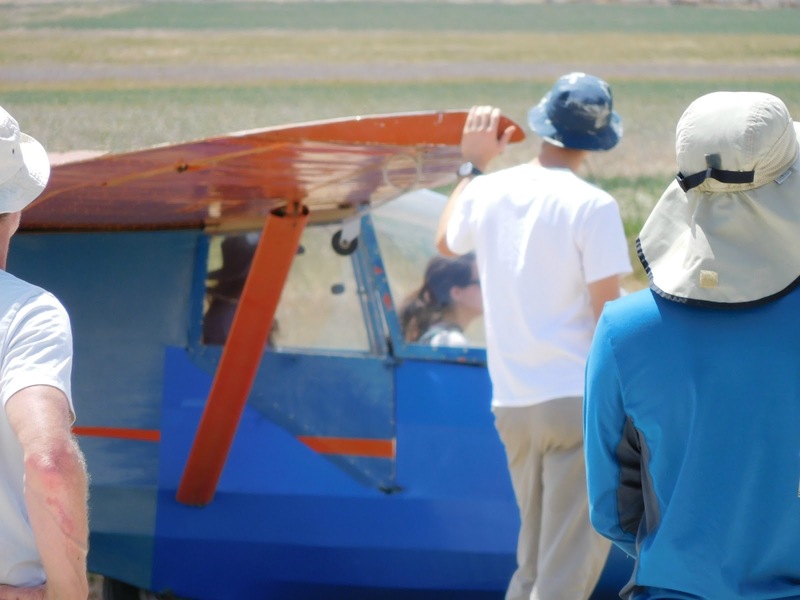 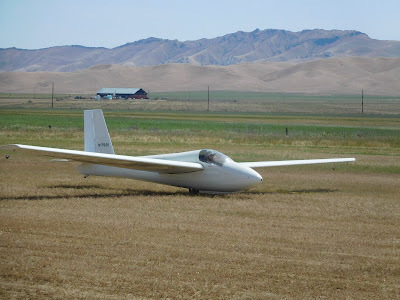 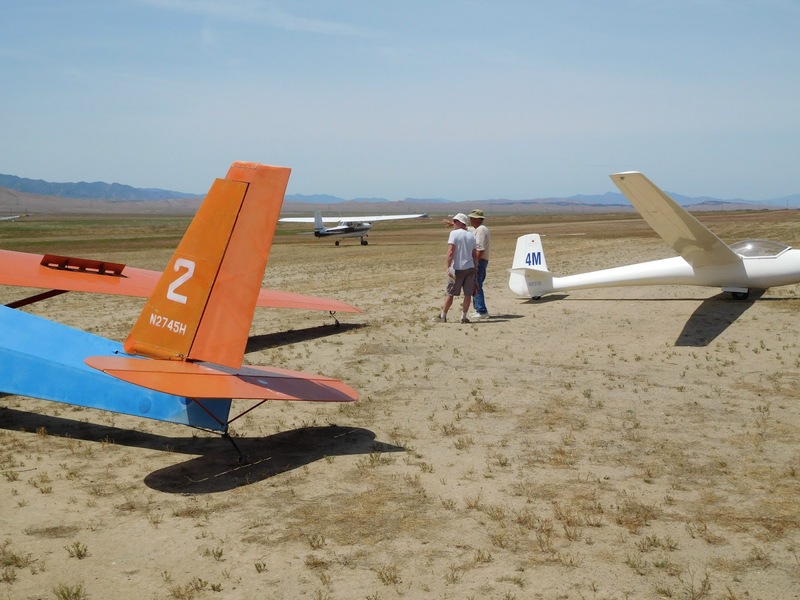 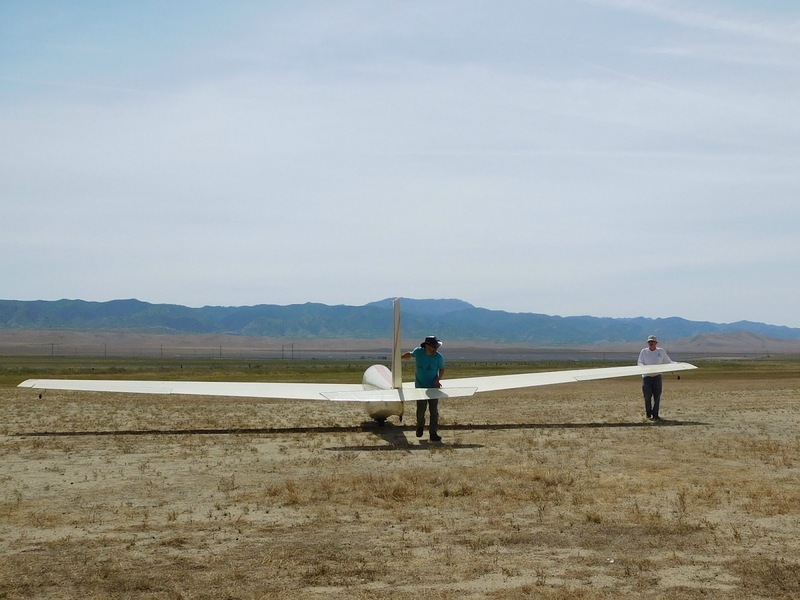 Central California Soaring Association: SATURDAY, April 22, 2107. 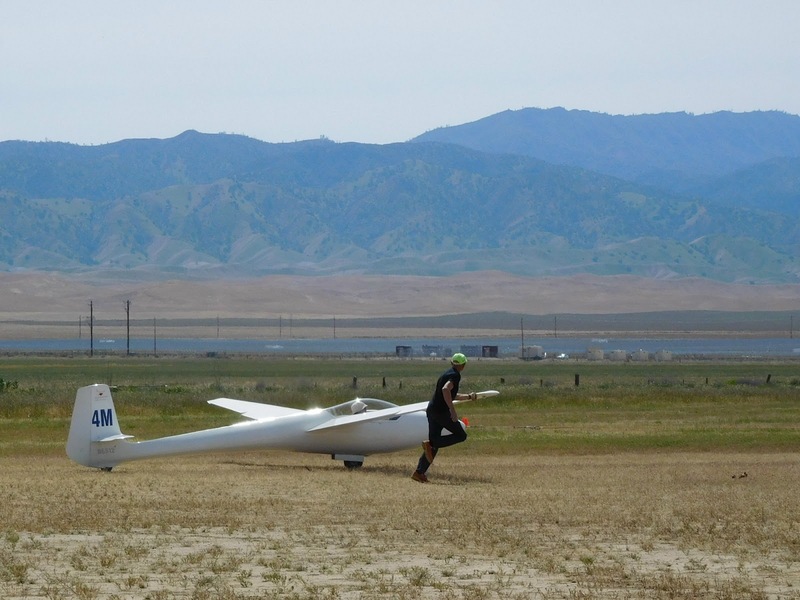 Eric flies his next two solo flights. 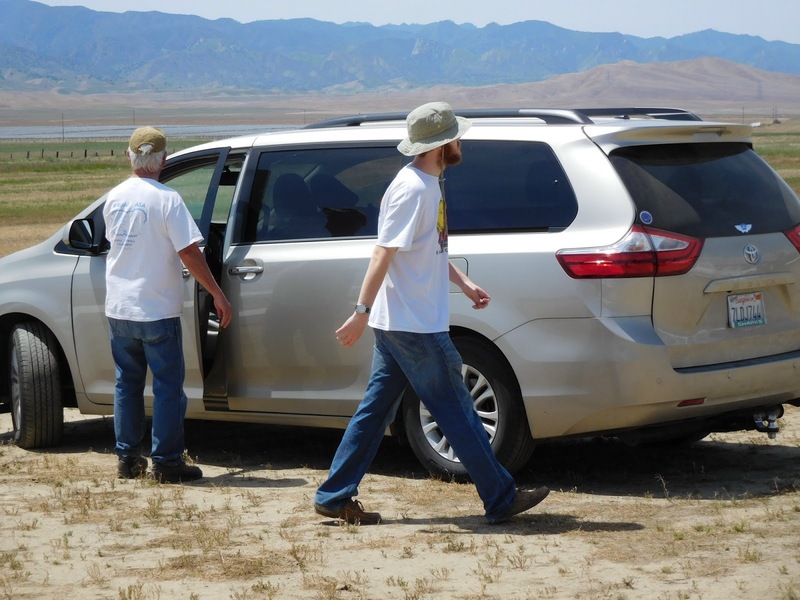 SATURDAY, April 22, 2107. 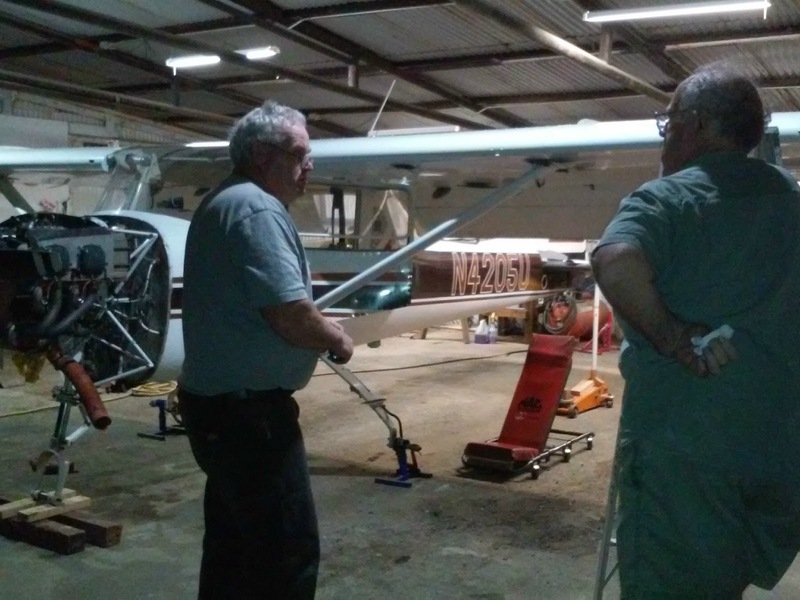 Eric flies his next two solo flights. 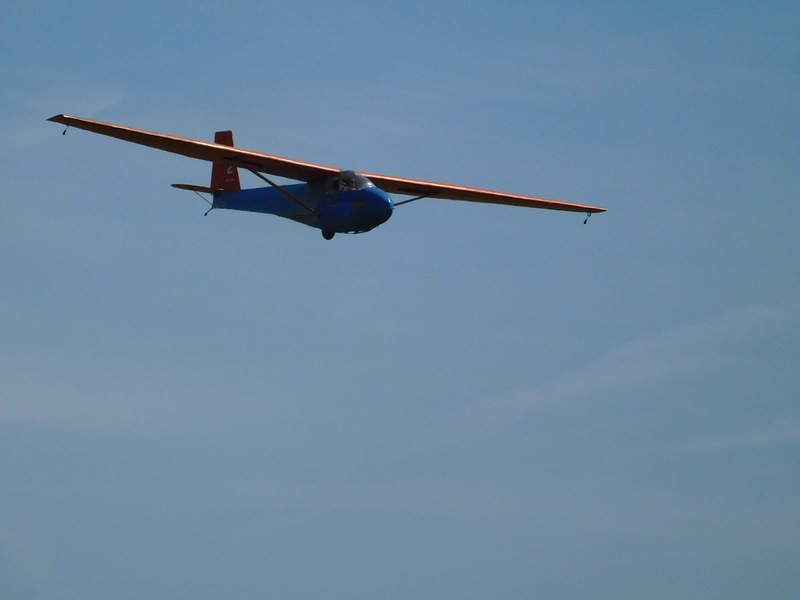 Comment: Eric Burlingame flew his second and third solo flights. 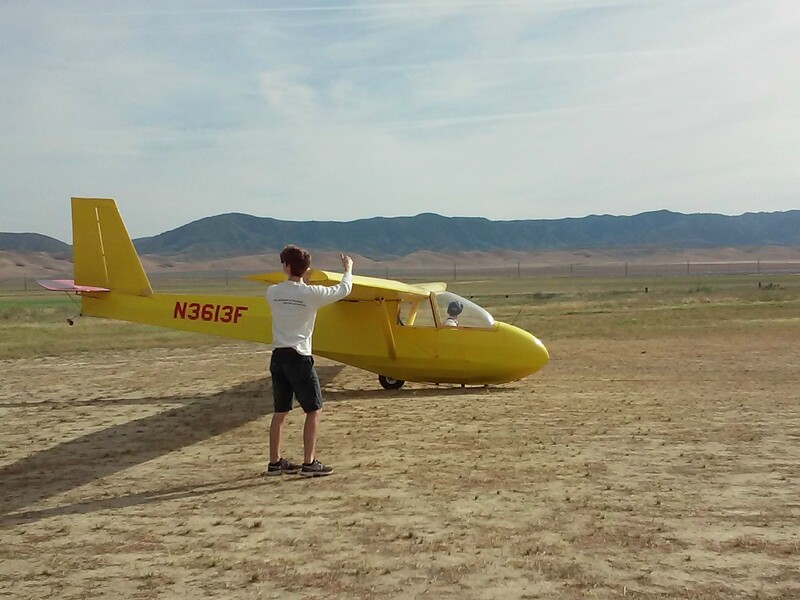 CONGRATULATIONS TO ERIC BURLINGAME FOR HIS SECOND AND THIRD SOLO FLIGHTS. 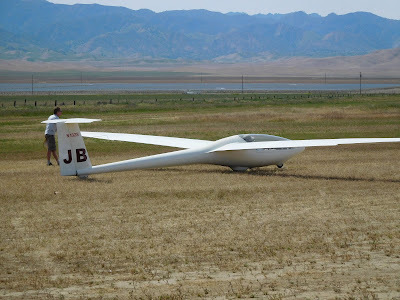 Jan Zanutto and passenger waiting for another glider to hook up for a tow. 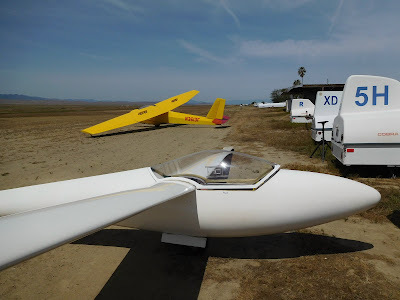 Pancho Herrera assembled his Libelle with Big Bird waiting in the background. 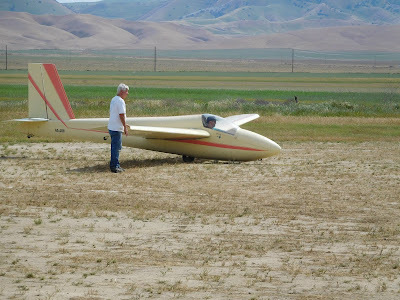 Nels Siverson waiting to launch once again for another training flight. 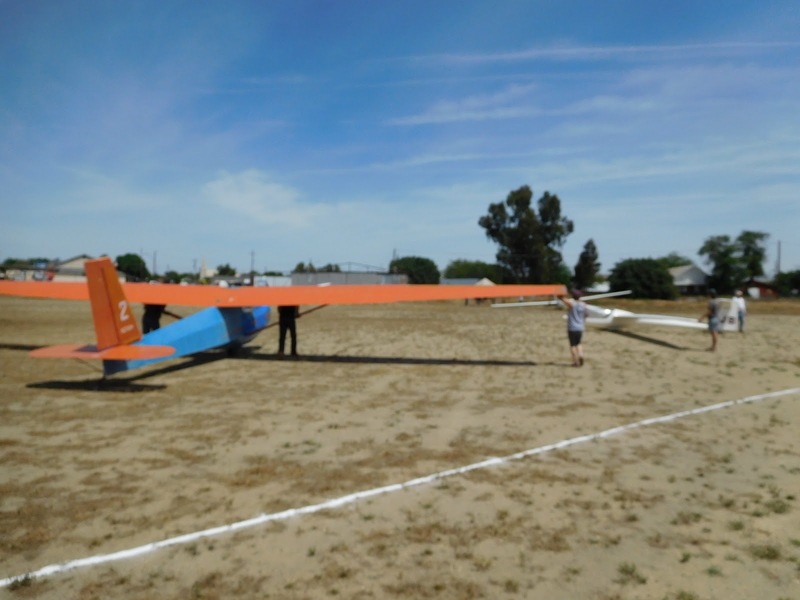 Moving Orange Crush over where the DG is parked. 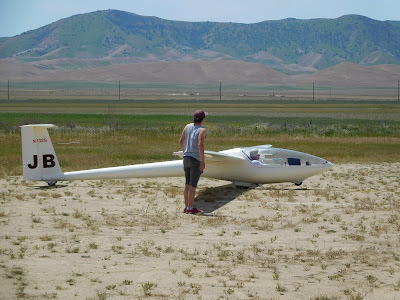 Setting up the DG for Jeff Richardson to fly. 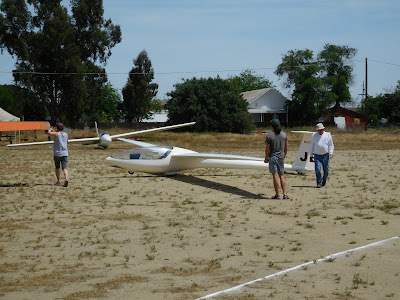 Jeff R about to launch with Wyll Soll running the wing. Busy day with gliders being towed aloft all day long. The Orange Crush about to launch and Pancho's Libelle in the foreground. Richard Walker and Neiman Walker (no relation) helping on the launch line. 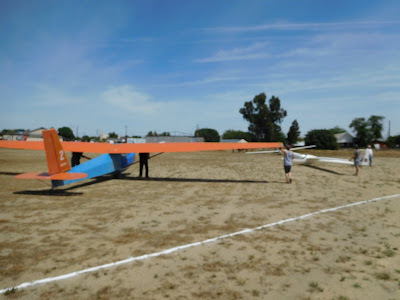 Troy Wollman and Eric Burlingame foreground and the Orange Crush about to launch. 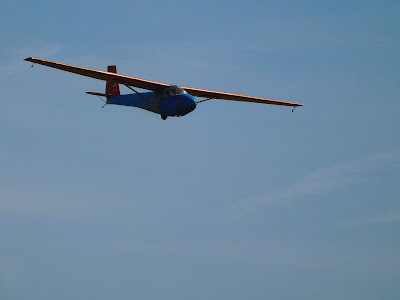 Jan Zanutto taxiing into position for the launch of the Libelle. 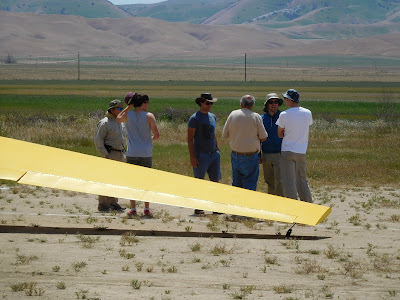 Looks like a serious conference underway in the safety area of launching. 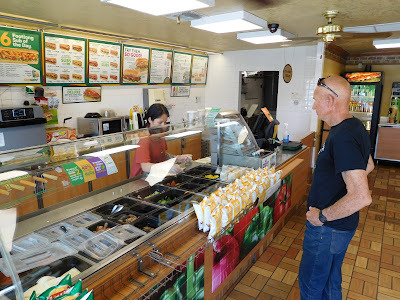 Nels Siverson patronizing our local Subway shop. Busy lineup of club and private gliders. 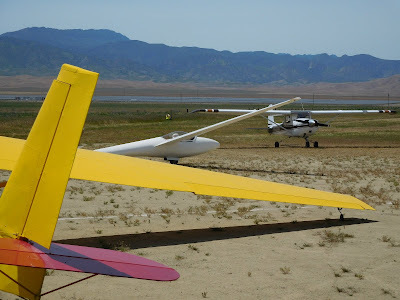 Neiman Walker on tow in the Schweizer 1-26. Troy Wollman launching in the DG100. The Orange Crush on tow in the sky behind Pancho's Libelle. 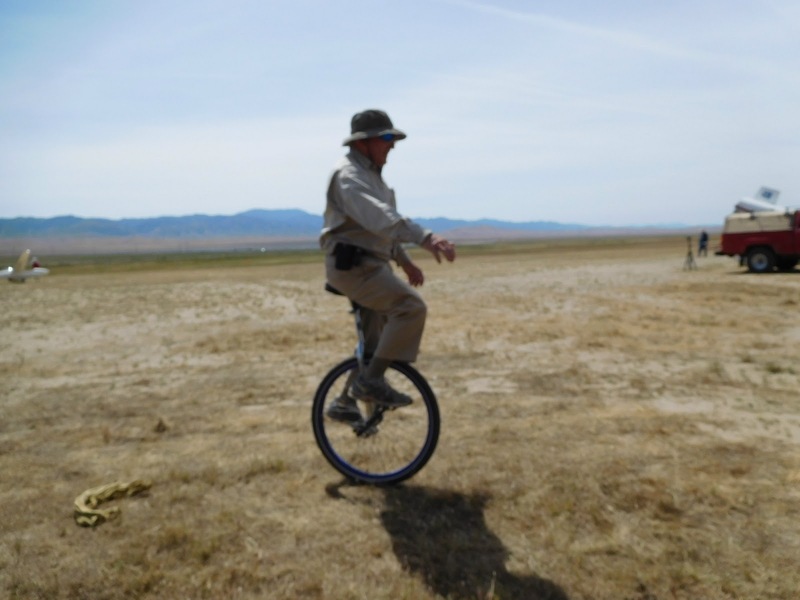 Yes, it really is Alex Caldwell riding the unicycle. He's done it before so no miracle here. 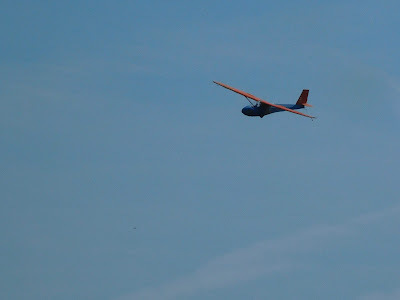 Now Pancho is finally getting launched on a nice flight with Nels Siverson running the wing. 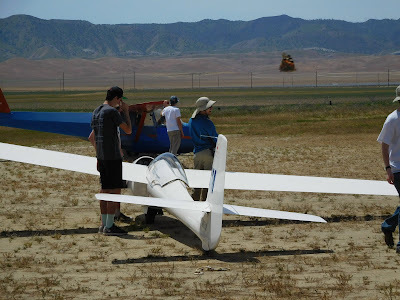 Mike Paoli, Alex Caldwell, and unidentified student preparing Big Bird for launch. 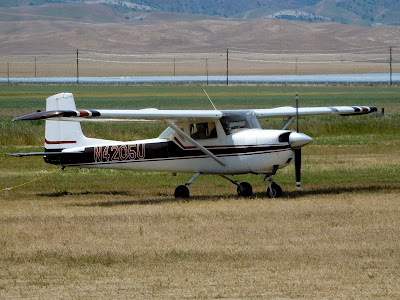 The Orange Crush turning final for runway 31R at Avenal. 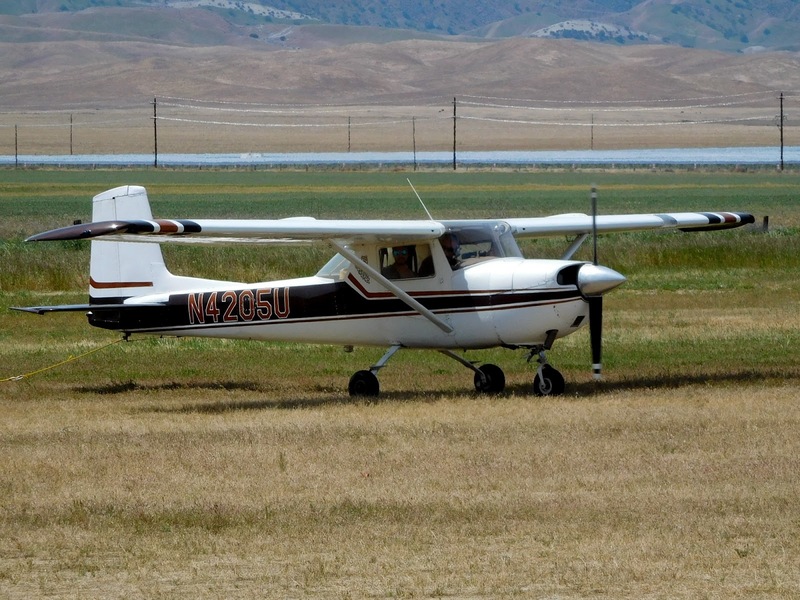 Our soon-to-be restored Orange Crush on short final. 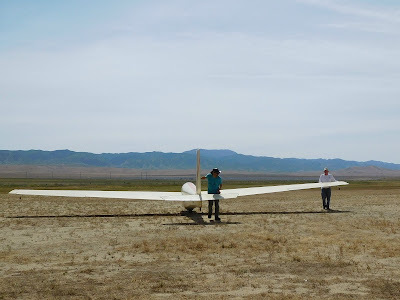 Mario Pauda and Jeff Richardson pushing Mario's 1-26 into position for launching. 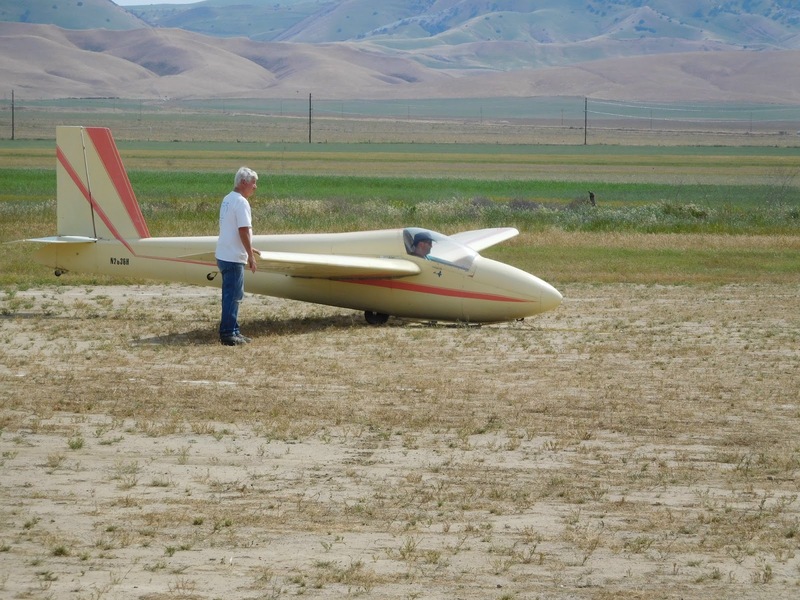 Richard Walker running the wing for Mario Pauda in his 1-26. 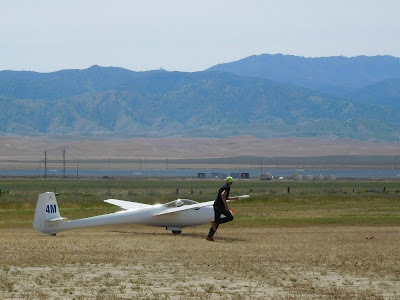 Eric Burlingame's second solo flight done exceptionally well as I expected. Tow plane hangar abuzz with effort to get 05U back into the sky as soon as possible.